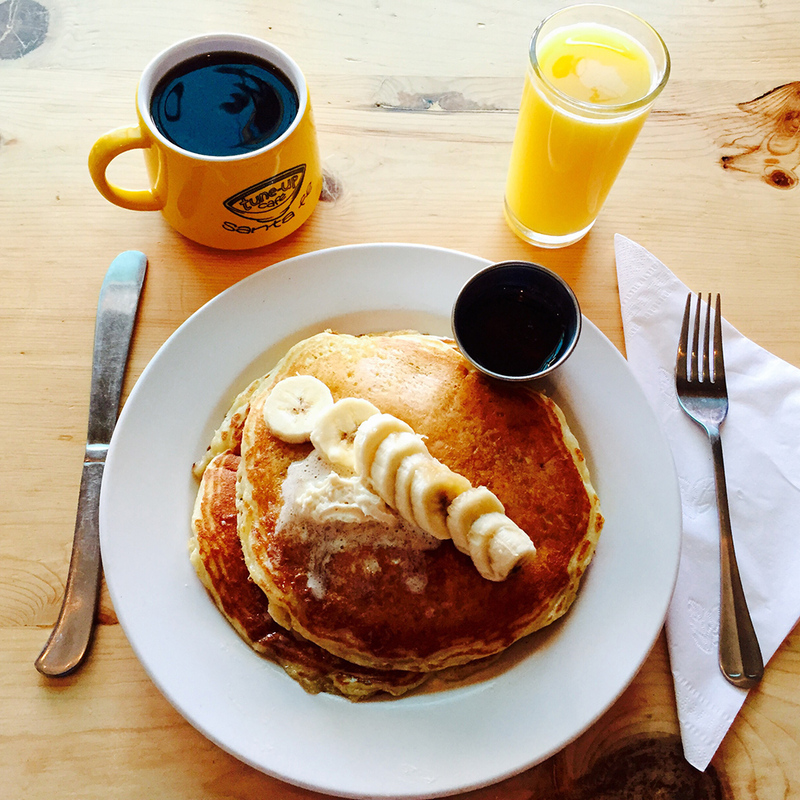 A word to the wise: don’t skip the most important meal of the day in Santa Fe. With venerable mainstays serving heaping portions of huevos rancheros and enchiladas, there’s also small cozy spots serving pastries, warm coffee and healthy juices and smoothies. For over forty years, this diner-style landmark that caters to out-of-towners and locals, doles out portions of simple New Mexican classics like huevos rancheros and a massive burrito (easily shared) with a choice of green or spicy red chili. This always-bustling downtown mainstay is best visited early in the mornings to beat the crowds. Once seated at a community table, order a hot cup of coffee, and corned beef hash with two eggs or griddled polenta with sautéed chorizo, corn and red chile. An arty, no-frills warehouse café serves the local crowd a proper breakfast spread of airy cinnamon rolls, French toast, pancakes and a fried egg sandwich. But come prepared, they only take cash. Part café, part general store — the chic-mod Modern General serves coffees and teas alongside fruit, granola, fresh patries and signature Czech kolaches. For the health-conscious, try a sample from an array of delicious juices, smoothies or shots of fresh wheatgrass or turmeric. A lively morning crew rolls in for a rustic, hearty sprawl of chef Jesus Rivera’s scrambled eggs with green onions and tomato and buttermilk pancakes with a choice of banana, blueberry or chocolate chip (there are also gluten-free options). Since 1948, this venerable road stop serves well-priced traditional breakfast items like blue corn cinnamon pancakes, chile relleno omelets and chicken fried steak smothered with country gravy and cups upon cups of Aroma coffee. Trust us, you won’t leave hungry. This sweet, popular French café is both a delicious and affordable choice for a breakfast spread of freshly squeezed orange juice, pastries and quiche with salmon and leeks.